Coaxial designs have always been tricky. They offer great advantages, but there have always been acoustical anomalies that have been tough to solve. With a coaxial design, the low and high frequency drivers are on the same axis, providing a symmetrical dispersion pattern from a single point source. This is different than your typical two-way speaker design where the speaker elements are separate from each other. What does this mean? With the Sceptre S6's coaxial design, all of the sound originates from the same point, therefore aligning them in "time". This makes the crossover distortion virtually inaudible. This also give the speaker a much wider "sweet spot" because the dispersion is the same at all frequencies and angles. Now having a coaxial design for the physical components is all well and good, but there are usually other issues that arise. That is where the TQ Temporal Equalization Technology comes in to play. The Sceptre S6's TQ algorithms deal with these issues by using multiple fully addressable, fairly large Finite Impulse Response (FIR) filters to eliminate horn reflections and to correct linear time and amplitude anomalies. The TQ software and the hardware controls on the S6 are designed to work together instead of implementing a DSP fix after the box has already been designed. 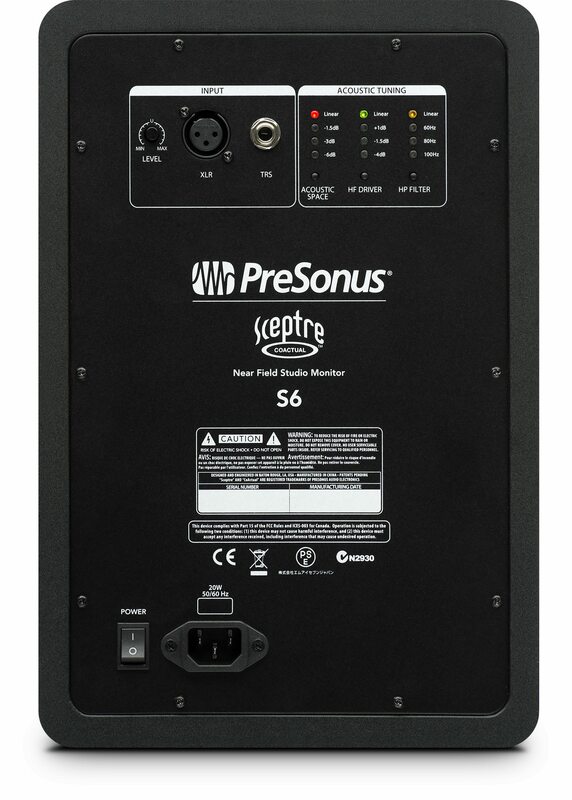 This gives the Sceptre S6 "a crisper stereo image, greater soundstage depth, more separation between the components of a complex mix, increased resistance to feedback, more seamless transitions between distributed loudspeakers, and a less fatiguing listening experience at very high SPLs." as described by Fulcrum Acoustic. The High Pass switch rolls off the low frequencies below the specified frequency (60, 80, or 100 Hz) at a slope of -24 dB/octave. 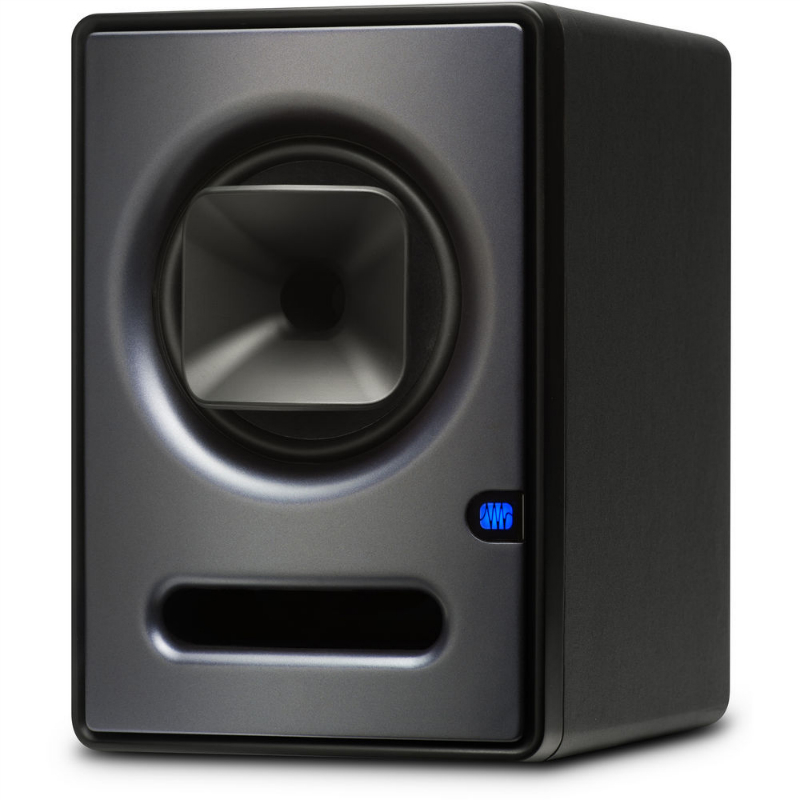 This control is important if you are using a subwoofer in conjunction with the Sceptre S6; in that case, set it to the same frequency as the crossover to the subwoofer. If you're not using a subwoofer, you simply set the control to Flat.